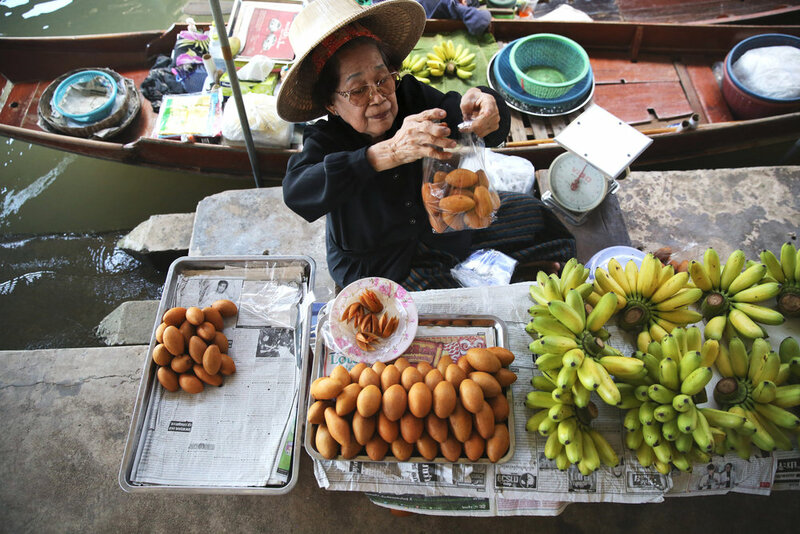 Damnoen Saduak, Bangkok's most popular floating market, is about 100 km from Bangkok and more than an hour's drive away. The market is surprisingly smaller than the Internet makes it out to be. There weren't as many tourists as I expected, but there were more tourists on boats than vendors. After arriving, Jazz (my childhood best friend and travel buddy) and I had Pad Thai from a vendor on land. Directly across the table from us sat a local Thai with his pointing finger resting far up his right nostril. He left it there for a good 10 minutes. Different strokes for different folks, I guess. Once our bellies were full, we walked the market and discovered all it had to offer. 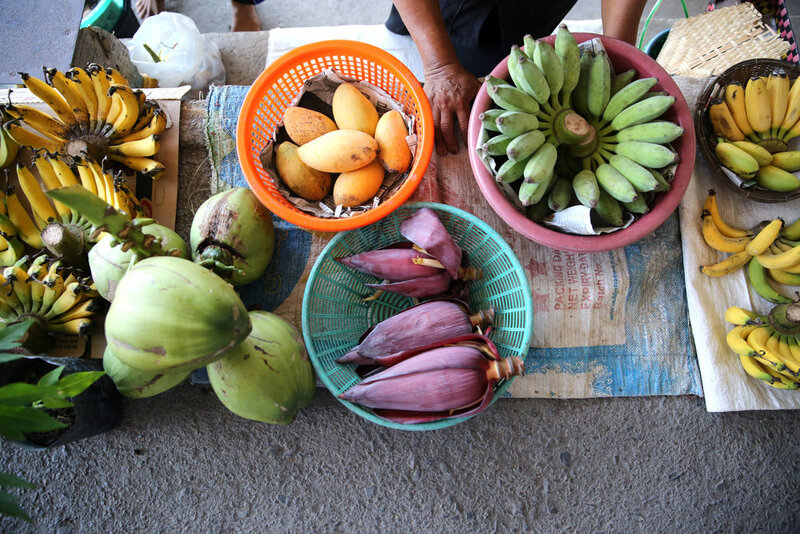 Bananas, mangoes, and coconuts marked real estate on the majority of boats. 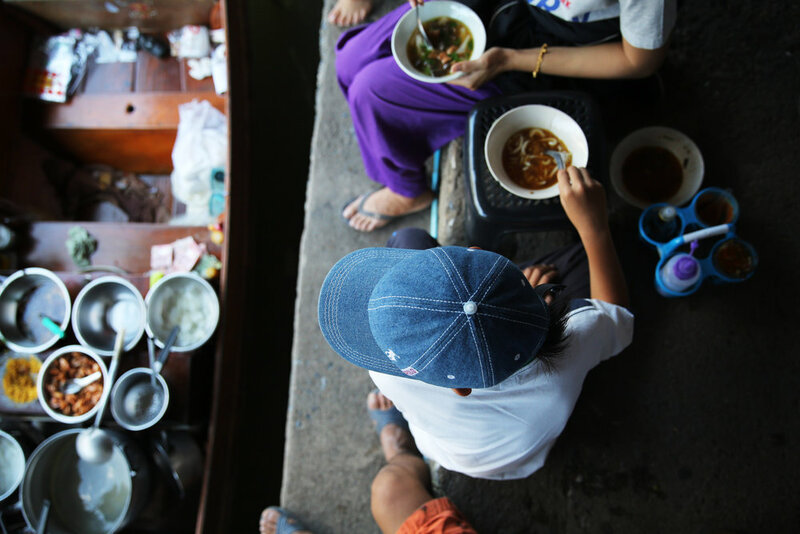 Soups, noodles, and rice bowls were prepared on the boats closest to the wall. The vendors on boats farther away used long sticks to both serve customers and collect money. 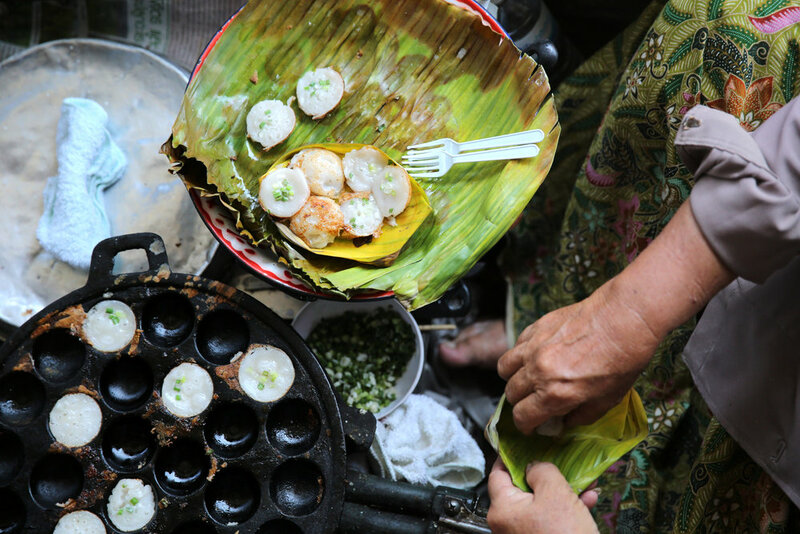 We tasted khanom krok, coconut custard cakes served in bamboo leaves. I was not a fan. It had an awfully similar consistency to oatmeal and I don't like oatmeal at all. Here's a closer look into the market and the many faces that make it what it is today.